We're committed to contributing to the social and economic well-being of our local communities, to supporting a culture of integrity and equality in our workforce, and to integrating environmental responsibility into our business. Navient is distinguished for reaching gender parity in the boardroom. Half of the 10-member board of directors are women. Through our partners and our people, we support the local communities in which we live and work. We also provide financial literacy resources and free tools that help empower people to make informed financial decisions throughout their lives. Navient is a member of the Business Coalition for the Equality Act, a group of leading U.S. employers that are officially backing the Human Rights Campaign's efforts to add federal protections for the LGBTQ community. Gender identification and gender expression are already included in our Equal Employment Opportunity (EEO) and anti-discrimination policies. 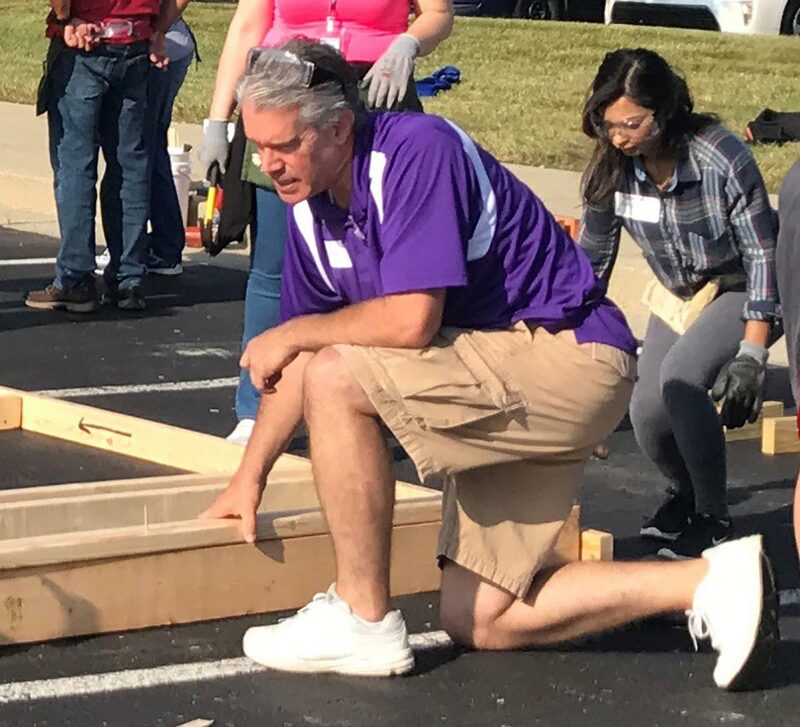 Philanthropy and corporate citizenship go hand-in-hand at Navient, where we encourage employees to give back to our communities with gifts of time, talent, and money. Our employees get involved in a variety of community activities such as distributing and reading books to kids, participating in blood drives, and collecting food and school supplies for families in need. Through the Jeans BeCause program, our employees raise funds for a variety of charitable organizations in our hometowns. We honor the philanthropic commitment of our people nationwide. We offer up to four hours of paid leave per month to empower employees to volunteer for a Navient-supported program in their community. Building on our focus to help people along the path to financial success, the Navient Foundation supports organizations that address the root causes that limit financial success for all Americans. We are focused on the reduction of greenhouse gas emissions in our corporate operations. We emphasize electronic communications and transactions to reduce wasted paper. We follow best practices in corporate governance. Our Code of Business Conduct, training, and governance policies help ensure that we meet high standards of ethical behavior and always strive to do the right thing to serve our stakeholders. Our executive compensation practices strongly link pay and performance. These women directors are among a board with diversity of industry backgrounds, skills, and experiences. WASHINGTON POST: There are 56 options for repaying federal student loans. It's time to simplify. "Income-driven repayment plans, as they are known, have been critically important to many new graduates, borrowers in transition, and those whose debt far exceeds their projected income over the long term." Navient engages in the democratic process and plays an active part in informing policy to support the success of our customers, employees, and shareholders. We are committed to fulfilling our role as an active corporate citizen with integrity and transparency. A study of the financial health of young Americans aged 22 to 35, conducted with Ipsos. You can take this quiz using the latest version of Chrome, Edge, Firefox, or Safari. Like 34% of young adults, you’re doing well financially and enjoy the good life, buying items such as designer clothing and the latest gadgets. It’s always good to think about how you can continue to live the good life in the long run. Navient offers free resources that can help keep you living the life you want. Navient's free interactive Path to Success learning series offers tips and insights on managing your finances. For Trendsetters, we recommend starting with the Investments module. Like 22% of young adults, your finances are in very good shape and your daily financial decisions are keeping you on track. You tend to be careful with your spending and enjoy putting a little extra away for the future. Sometimes it’s nice to splurge, but not at the expense of your long-term goals. To help keep you on this smart path, Navient offers a variety of free resources you may find helpful. For Goalsetters, we recommend starting with the Investments module. Like 23% of young adults, you tend to be careful with your spending and are comfortable with your finances. You make practical purchases, avoiding expensive clothing and the latest gadgets, and you plan your occasional splurges in advance. If there’s something left over at the end of the month, you’ll put a little extra in your savings. Want to keep it going, or maybe even generate a little more disposable income? Navient has tools to help. For Optimists, we recommend starting with the Investments module. You’re a Pathfinder! Like 21% of young adults, you don’t have as much disposable income as you’d like, and you would like to be able to save. Like other Pathfinders, you may worry sometimes but you are making your way. If you’d like a little help to improve your financial situation, Navient’s Path to Success modules are the right place to start. For Pathfinders, we recommend starting with the Savings module.